Greek myths have long been admired as beautiful, thrilling stories but dismissed as serious objects of belief. For centuries scholars have held that Greek epics, tragedies, and the other compelling works handed down to us obscure the "real" myths that supposedly inspired them. Instead of joining in this pursuit of hidden meanings, Sarah Iles Johnston argues that the very nature of myths as stories--as gripping tales starring vivid characters--enabled them to do their most important work: to create and sustain belief in the gods and heroes who formed the basis of Greek religion. By drawing on work in narratology, sociology, and folklore studies, and by comparing Greek myths not only to the myths of other cultures but also to fairy tales, ghost stories, fantasy works, modern novels, and television series, The Story of Myth reveals the subtle yet powerful ways in which these ancient Greek tales forged enduring bonds between their characters and their audiences, created coherent story-worlds, and made it possible to believe in extraordinary gods. 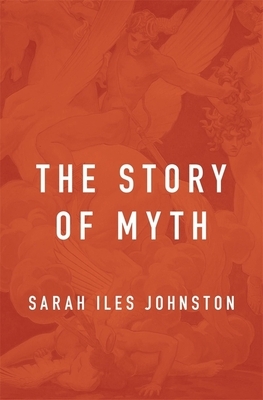 Johnston captures what makes Greek myths distinctively Greek, but simultaneously brings these myths into a broader conversation about how the stories told by all cultures affect our shared view of the cosmos and the creatures who inhabit it.